It is Board Policy of the Escondido Union High School District that sport physicals for the coming school year not take place prior to July 1st. All student-athletes must have a complete Athletic Handbook on file with the SPHS Cashier before trying out for any team at SPHS. 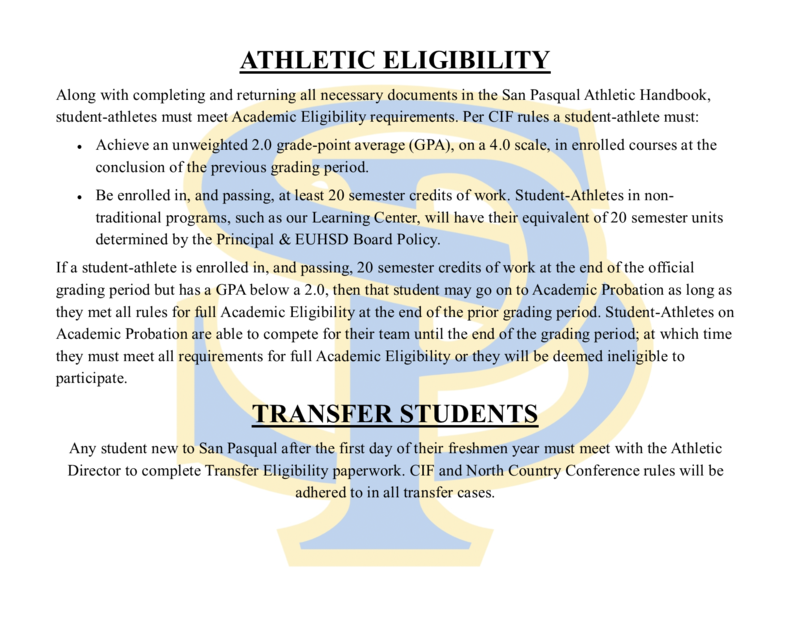 The San Pasqual Athletic Handbook, which includes all clearance paperwork, is available in PDF form on the right side of this page or in hard copy at SPHS.